More people are becoming aware of safety when it comes to smart device usage. One smart device users says mixing up passwords is key. 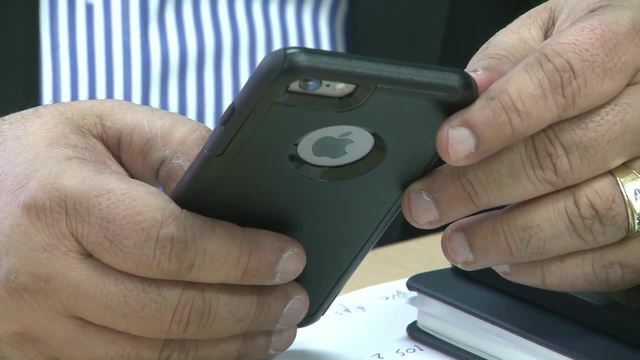 Another smart device users says when it comes to smart devices being careful is key. smart phone, or computer, there is always a risk . Rajiv Dass, Chief Security Officer and Deputy Director at the State of Michigan, says practicing cyber hygiene is the key to remaining safe. "Cyber hygiene is using simple practices such as password management, upgrading your browser on your computer, TV, and phone, and not clicking on phishing emails," said Dass. "If someone is worried about being watched or spied on due to the camera on their smart device, they can put at sticky note over it ," he says. Dan Lohrmann, Chief Strategist and Chief Security Officer of Security Mentor, says it is important to keep you software up to date to prevent becoming a victim. "The technology is changing," said Lorhmann. "We always need to keep up to date with the latest tools and technology features."